Adobe describes InDesign as the “industry-leading page design and layout tool” for both print and digital. Despite its industry leading status, learning how to use InDesign needn’t be as hard as you think. 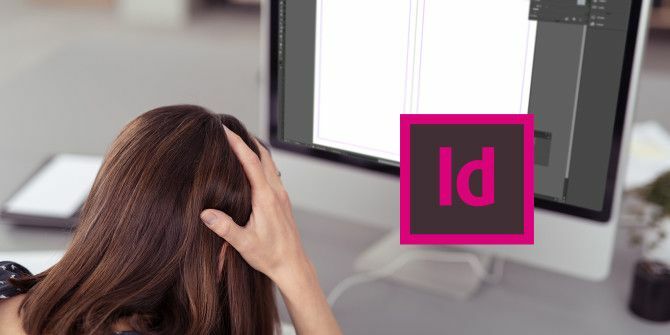 Adobe Indesign is an industry-level tool for professional graphic designers How to Be a Profitable Online Graphic Designer How to Be a Profitable Online Graphic Designer If you're a graphic designer struggling to turn a profit, all is not lost. Here are some tips for getting your freelance career back on track. Read More to create single or multiple page documents. We’re talking brochures, eBooks (including designing book covers 8 Self-Publishing Secrets For Designing An eBook Cover 8 Self-Publishing Secrets For Designing An eBook Cover A good ebook cover is a visual and emotional glance into the contents of your writing. But if you design your own ebook cover, there are some important things you need to take into consideration. Read More ), interactive PDFs How to Create an Interactive PDF How to Create an Interactive PDF Interactive PDFs allow you to add video, audio, hyperlinks, and more into your documents. Here's how to create one using Adobe InDesign. Read More , magazines (including digital), flyers. It offers similar functions to software such as LucidPress (read our review Lucidpress: The Free Online InDesign Alternative For Your Creative Needs Lucidpress: The Free Online InDesign Alternative For Your Creative Needs What is a casual designer to use as an InDesign replacement? Lucidpress is absolutely gorgeous. A lot of graphic design skill has been put into it for helping casual designers make fantastic documents. Read More ), though includes many more features. If you — a newcomer to print design — are wanting to create these documents to a professional level, InDesign is the option you’re looking for. Not Photoshop or Illustrator. Photoshop’s primary use is to edit raster art. That is, images constructed of pixels (i.e. photos). You can find out how to learn Photoshop here Photoshop for Photographers: 8 Free Lectures to Get You Started Photoshop for Photographers: 8 Free Lectures to Get You Started If you're a photographer, your education doesn't stop at the camera. You need to post-process if you want the best possible results. Here are eight free lectures to get you started. Read More . Adobe Illustrator (teach yourself Teach Yourself Adobe Illustrator for Free Teach Yourself Adobe Illustrator for Free Adobe Illustrator has long been the illustration tool of choice for graphic artists. Ready to bring your designs to life? Here's how you can learn Adobe Illustrator for free. Read More ) edits vector art. That is, images and elements constructed of points, lines, and shapes (i.e. logos). These elements can be scaled without loss of fidelity. InDesign, on the other hand, is where you bring all of these elements — raster art, vector graphics, typography — together to create a polished document that’s ready for print. There are a number of reasons why you’d choose to use InDesign over alternatives, including Photoshop and Illustrator. Plenty of fine-tuning options for printing on high-end print and plating systems. Adobe’s InDesign CC video tutorials cover all the basics you’ll need to get started. As you progress, these videos will help you get to a pretty advanced level. Within the Get Started section, you’ll quickly get to know where to find things in InDesign, and what the program can actually do. From there, advance to the Learn Essentials area which delves into each area in more detail. Once those novice steps are mastered, the Key Techniques and some of the videos in the New Features sections will see you rapidly become an expert. If you’re using InDesign CS5, Adobe has a separate, free course for that. This detailed article from Lisa Valuyskaya in Smashing Magazine goes through 10 tips she wished she’d known before starting to use the program. This covers understanding margins and bleeds, image formats, and working with color, among others. Despite this not being a complete set of videos, the content offers a great primer for getting to grips with navigating InDesign. You’ll also learn a host of InDesign “secrets” to help you save time while designing. 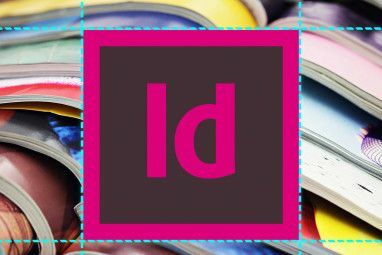 The huge selection of in-depth tutorials from Tuts+ makes this one of my favorite places to discover new ways to use InDesign. Whether you want to create a vintage, clothbound book cover, or create a cool typography poster, these step-by-step tutorials will show you exactly how. Although this isn’t a structured course, Terry White’s YouTube videos on InDesign have helped over 100,000 beginners start making the most of InDesign. 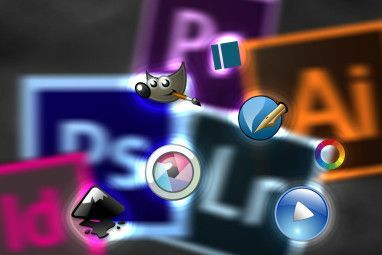 The videos are tailored for CS5, CS6 and CC, with the vast majority of lessons being relevant for each version of the software. Some lessons include How to Get Started With InDesign CC, Publishing from InDesign to iPad, and How To Create a Fixed Layout Ebook, along with around 50 other lessons. InDesign Secrets is a massively comprehensive online resource for all things InDesign. Once you’ve got the basics nailed, this site should become your new best friend. It’s the guys behind this site that put together the InDesign Training For Beginners Course, mentioned above. You’ll find thousands of articles, InDesign templates, podcasts, video casts, and an active forum to have your questions answered. This site focuses on all things Adobe. Though new articles are published very sparingly, head over to the InDesign section of Layers, and you’ll find a treasure trove of wisdom. This library of articles covers topics from the very basics, to the very advanced. Above are the top free courses and resources we’ve found. There are some fantastic paid-for courses, too. Udemy: Intro to Adobe InDesign ($100) — 53 lectures over 6 hours covering everything you need to get started. Lynda: InDesign Tutorials ($15pm)—by subscribing to Lynda, you’ll have access to over 6,500 InDesign tutorials covering pretty much everything you could imagine. 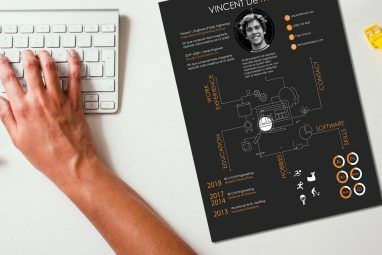 DigitalTutors: Designing an Interactive Ebook in InDesign ($29 pcm) — this is becoming an increasingly common use of Indesign, which could serve you well. Sign up for a DigitalTutors account to access this course, and many others. I’m currently in the midst of teaching myself InDesign with no prior experience. These are the free resources, along with scouring Pinterest for InDesign tutorials, that have helped me most, and I hope they can help you, too. Which other free online resources are you using to teach yourself Adobe InDesign? And are you finding the learning process easy going? Whow, this article is very useful! Thanks for sharing! M.